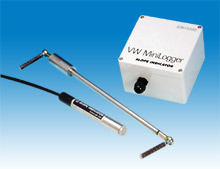 The VW MiniLogger is a compact datalogger designed to monitor a single VW sensor, such as a piezometer or crackmeter. It is simple to use and economical to deploy. 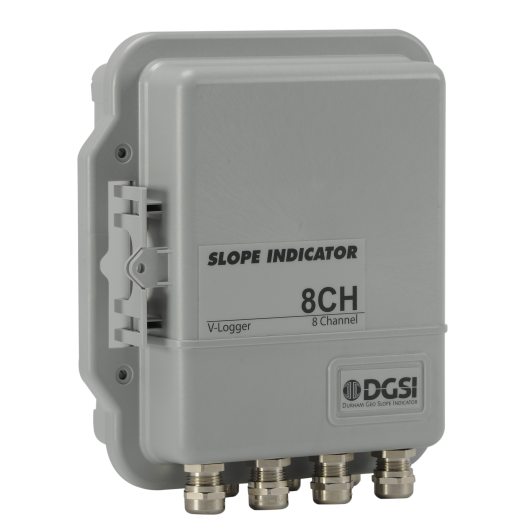 MiniLoggers are ideal for monitoring single sensors. Their low cost and simplicity makes them useful to monitor small numbers of sensors that are distributed around a site. It is possible to deploy four or five MiniLoggers for less than the cost of a full-size logger, while significantly reducing cable costs. 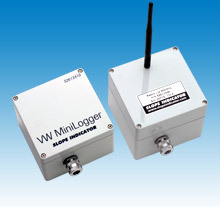 Finally, MiniLoggers are useful for supplementing a larger, centralized data acquisition system, monitoring sensors that are too remote to connect to that system. Simple to Use: Learn how to use the VW MiniLogger in just minutes, not hours. There are no programs to write, no switches to set, and only four wires to connect. Communication: The VW MiniLogger uses a 9-pin serial connection (DB9) to communicate with your computer. As many laptops today no longer have serial ports, we also offer a serial-to-USB adapter that can be purchased separately. Economical: Four or five VW MiniLoggers can be deployed for less than the cost of one full-sized logger. Cost savings in cables are also available, since MiniLoggers can be placed close to the sensor. Reliable: The VW MiniLogger is rated for temperatures between -20 and +50 degrees C, and its encapsulated electronics are impervious to humidity and condensation. Readings are stored in secure, non-volatile memory. Convenient Data Processing: The VW MiniLogger Manager program retrieves readings and stores them in an ASCII file, ready to open with a spreadsheet. The file contains two data values for each reading: a value in Hz and a value in engineering units. Thus calibration factors need not be applied in the spreadsheet. Atlas Compatible: The VW MiniLogger Manager program can save readings in the Campbell Scientific data format. Afterwards, it can be forwarded automatically to Slope Indicator's Atlas Web-Based Monitoring Service. Wireless Option: The wireless option is useful when access to the logger is difficult or when frequent retrieval is required. The wireless option is available in a spread-spectrum 900 Mhz version, which offers greater range and uses less power, but is normally used only in North America, or in a spread-spectrum 2.4 Ghz version, which offers less range and uses more power, but meets requirements in other parts of the world. Small: The VW MiniLogger measures 100 x 100 x 90 mm high (4 x 4 x 3.5 inch). Please download the datasheet and the manual for the VW MiniLogger. These documents can be viewed and printed with Adobe Acrobat Reader.